Update: We now know by Secret Defiance, that the French soldier who protected himself with a scarf, whose style scandalized the French Armies Commandment, has been rapatriated in France under disciplinary measure, and subject to 40 days of arrest. 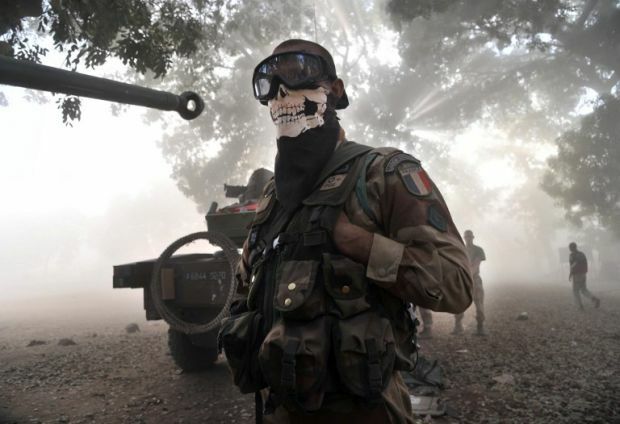 For obscure reasons, a picture of a French legionnaire in Mali triggers a flurry of sensationalist headlines and eventually a man hunt among the troops based in Niono in the North. It turns out, Agence France Presse’s photographer, Issouf Sanogo was taking pictures near the troops: ” …when a helicopter landed lifting a thick cloud of dust. 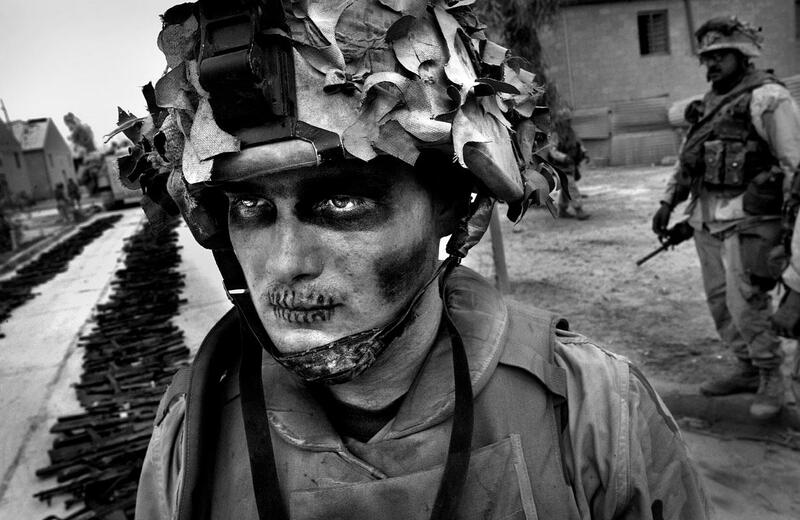 Instinctively, all soldiers covered their faces with a scarf to avoid swallowing the sand dust. It was dawn with a great light between the trees. I spotted this troop wearing a funny scarf waiting for the dust to dissipate and took his picture. Nothing scandalous or extraordinary. I shot on-the-spot, and no one stopped me, report Issouf. Meanwhile, the AFP blog release created a buzz, which reached the highest commandment in Paris. Then, it went ridiculous, when Joint Staff spokesman, Colonel Thierry Burkhard declared, that the behavior of the masked soldier was “not acceptable.” ” this picture is not representative of the French mission in Mali, by request of the Malian state” . An action in which soldiers “put their life on the line,” he said during a press conference. Regular US fighter during the Irak war. ” Putting his life on the line”, is exactly what this guy chose to do when he joined this inferno to serve. He was doing what any soldier around the globe does: protects himself against the elements. For this brave, it’s not enough, he also needs to hide from the French military officials’ blindness. Yes! The same who are complaining about how hard it is to reach out for new recruits. ( Link to article in French by Le Point).